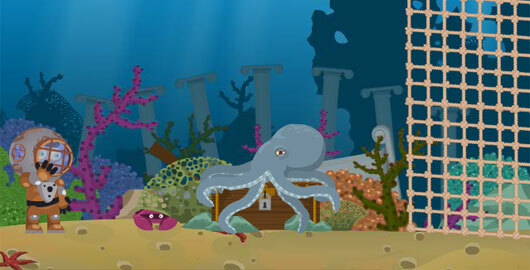 Bermuda Diver is the latest Point’n’Click Adventure game from Abroy. “The best diver was choses to explore the seabed of Bermuda. Your mission is to help him on his dangerous journey and solve all the quests the mysterious place has to offer. The link takes you to the walkthrough rather than the game. On the page it opens there’s a link to the actual game above the video walkthrough. Posted on Monday, April 30th, 2012. Follow any responses through the RSS 2.0 feed.